In a heavy bottom saute pan, brown beef over medium heat until completely cooked. 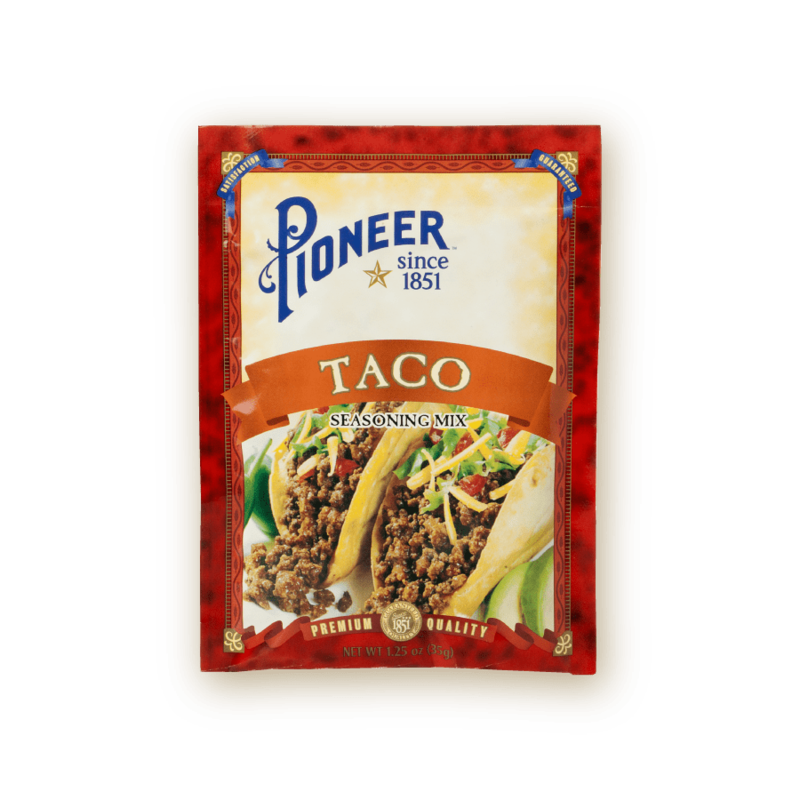 Add Pioneer Taco seasoning, zucchini, and onion. Add milk and bring to a simmer. Remove the pan from the heat. Fold in cream cheese and shredded cheddar cheese. Transfer to a bake safe casserole dish and bake for 20-30 minutes or until top is golden brown. Top with parsley and salsa.